Mark the most romantic day of the year with a luxurious and unforgettable caviar and wine reception at the elegantly appointed Ackerman Heritage House. Upon arrival, join your charming host Lauren Ackerman, as she welcomes you and your special date with flutes of Domaine Carneros 2013 Estate Brut Cuvée. 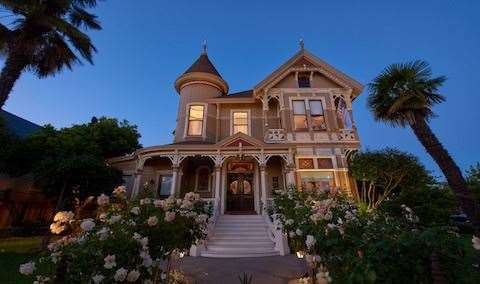 A selection of delectable canapés will be prepared by Chef Jennifer Smith, showcasing Passmore Ranch Caviar, and paired with a tasting of Ackerman Family Vineyards wines, including prized vintages such as the 2017 Trousseau Gris, 2013 Le Chatelaine and 2005 Cabernet Sauvignon. Passmore Ranch founder Michael Passmore, known for making some of the finest small batch caviars, will also be on hand to welcome guests and share some of his best caviar tasting tips.